We have a new Merry Monday Christmas card challenge, Kelly is our hostess and her challenge is to Create a Christmas card using the inspiration photo. What do you see here, what is your inspiration? I used hanging decorations, stars and greenery to tap into my creativity. My card was quick and simple as I let the paper do all the work. The tree was a panel in my paper pad, I layered it with other patterns from the same book. The sentiment was cut from a piece of scrap and popped up with foam tape. I added Wink of Stella to the star for shimmer. Supplies: Cream cardstock, Designer Paper - Simple Stories. 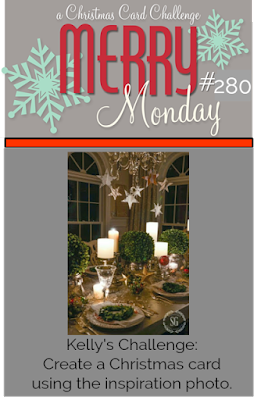 Come play along with the challenge, and stop by the Merry Monday blog to take a look at all the wonderful cards created by the design team. I think I say it every week but I love your paper! Great job! 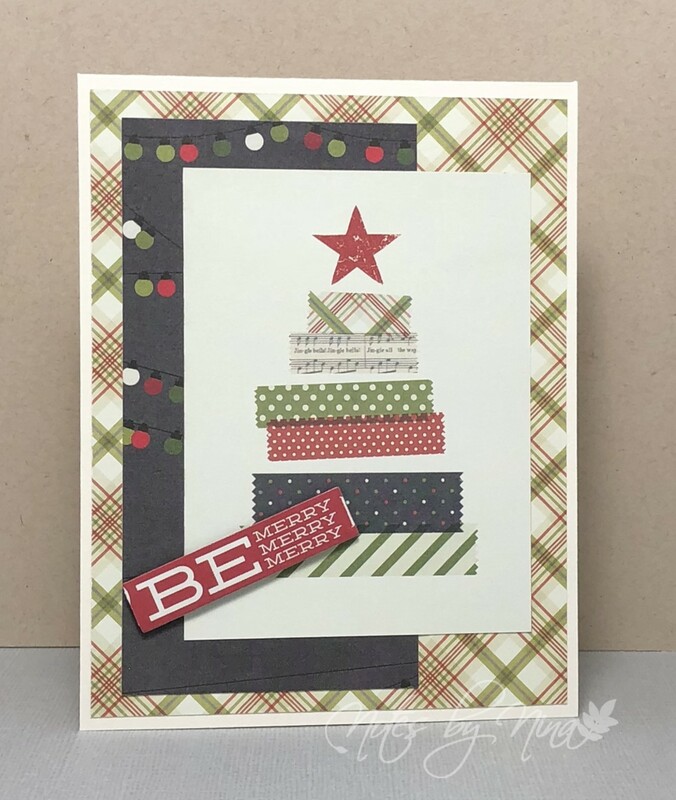 Just love your layered patterned tree, Nina! Perfect with the hanging decoration paper behind!! Nina, I love the simplicity of your design. I love the Simple Stories patterned paper it's one of my favorites. Have a great week. Nina, lovely mixture of pattern papers. So pretty. Hope you have a great week. Lovely design with those pattern papers. You need to teach me to make these cards. So simple yet perfect!